This is used mainly in drainage and large water pipes from 20mm to 350mm. 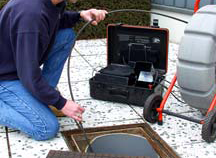 The camera will visually inspect and quickly locate leaks and other issues and to an exact location. This means we can go directly to the problem without having to did up extensive areas of floors or terracing. 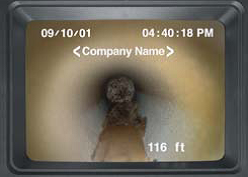 Our camera system combines portability and versatility to make your drain inspections easy and efficient. We use a specially designed push cable for greater abrasion resistance and more efficient push-ability so we can reach further that other systems. We are able to record snapshots and video to show you where the problem lies. Have a look at this video downloaded from our camera.